love seeing you test info! Yay ! finally a comment to you is posted! Thank you for sharing this. I'm going to be working on a very important book and I need it to last. I'll be sure to use only pigment based colors. Very interesting, Jamie! I think the most important thing to note here (for all of the fountain pen enthusiasts) is that you have to keep your inks out of sunlight. That goes for ink in the bottle as well as on paper. UV just kills dye-based inks, with very few exceptions. Fountain pen inks on paper are just fine closed up in a journal or tucked away in a desk, but you definitely wouldn't want to display artwork used with (most) fountain pen inks up on the wall. 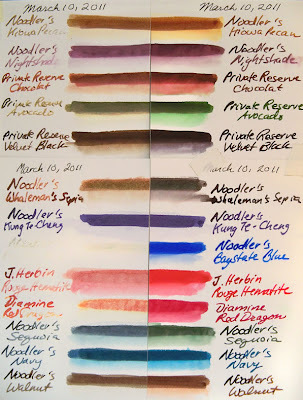 There are a few pigment-based fountain pen inks out there like Platinum Carbon and Pigment inks, as well as Sailor Nano inks, but for non-pigmented, the only other ink maker I know that focuses on UV-resistance is Noodler's. Clearly, BSB isn't one of those inks, as most aren't, but you can see here with KTC that Nathan Tardif can do some time-tested UV-resistant dye-based inks. You'll want to look for the 'eternal' classification on the Noodler's inks, which is the name that Nathan gives for UV-resistance. Whaleman's Sepia has this rating too, which seems to have held up okay but not as well as KTC. I'm curious to see how other Noodler's eternals will hold up, too. 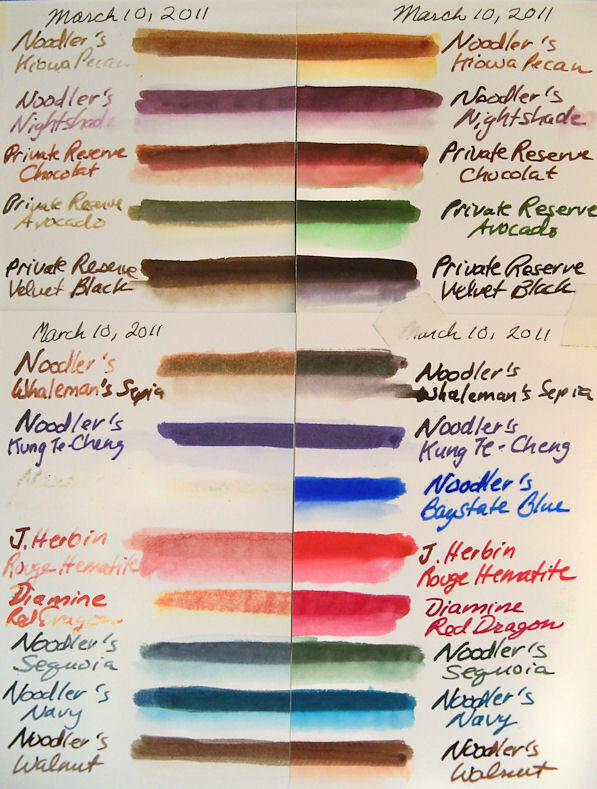 Noodler's Black, Lexington Gray, and #41 Brown are all eternal as well, so it'll be neat to see those in your next batch of tests! I do really appreciate all of the time and work you're doing here. it's really cool to see your results! Brian, as usual, many thanks for your words of wisdom. KTC pretty much gets the gold star! Unfortunately, Whaleman's Sepia (also shown on this page) didn't fare so well! But I try to emphasize in my lightfastness tests and posts about the results, that for work inside a sketchbook or journal, this shouldn't be a problem. At the same time, the results send a clear message that these are not materials that should be used for a work of art that will be hanging on a wall, and I wouldn't trust UV glass to protect it well enough either. All my inks are in a drawer since you first mentioned that storage information to me! 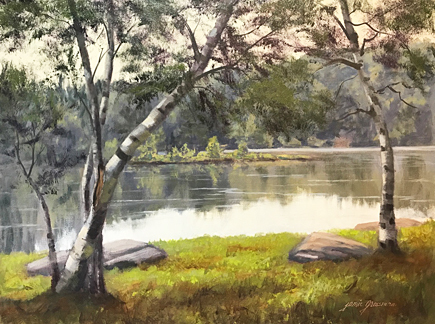 Thanks for visiting and posting; always a pleasure to see you here!